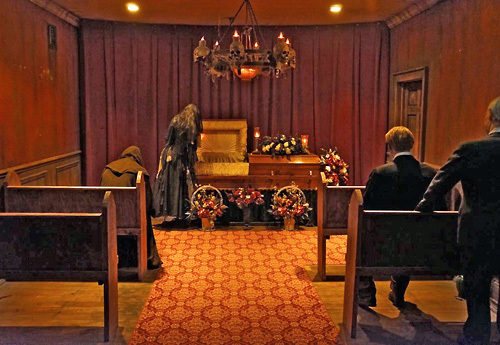 Enjoy this multi-million, state-of-the-art, world-class haunted attraction & Gatlinburg’s #1 Haunted House! New hauntings, special effects and live actors! Bring all your family and friends…there’s safety in numbers! Frights, fun and screams for everyone! Please be advised that you are entering at your own risk and that Ripley's assumes no responsibility for your return! #1 Haunted House in Gatlinburg. Must be 6 years old to enter. Several pitch-black areas you must walk through. You’re Never Alone in the Dark! Frights, Fun and Screams for Everyone! 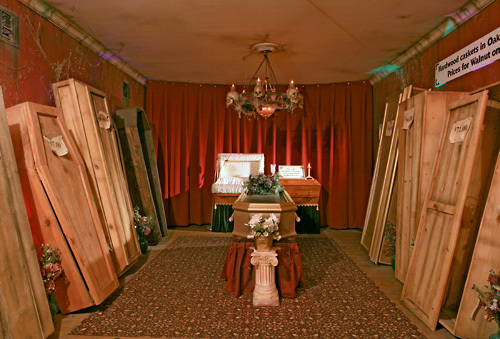 Enjoy this multi-million, state-of-the-art World-class Haunted Attraction & Gatlinburg’s #1 Haunted House! New hauntings, special effects and live actors! Bring all your family and friends…there’s safety in numbers! Children under age 6 are not permitted. Those under 12 must be accompanied by a guardian. Is there an age restriction for Ripley’s Haunted Adventure? Yes. Participants must be at least 6 years old in order to enter the haunted house. Children under the age of 12 must be accompanied by a parent at all times. What do I need to know about the attraction prior to entering? The Haunted Adventure utilizes strobe lights and other special effects to create a scary atmosphere. This includes areas of pitch black darkness. If you or a member of your party do not do well with these effects, it may be in your best interest not to participate in the attraction. Ripley’s Haunted Adventure is open from Sunday to Thursday from 11:00 am to 11:00 pm, and Fridays and Saturdays from 11:00 am to 12:00 am. 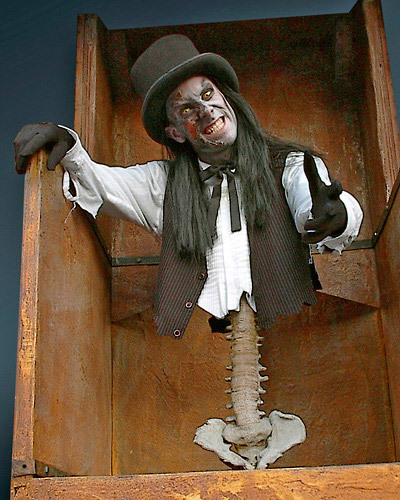 Where is Ripley’s Haunted Adventure located? 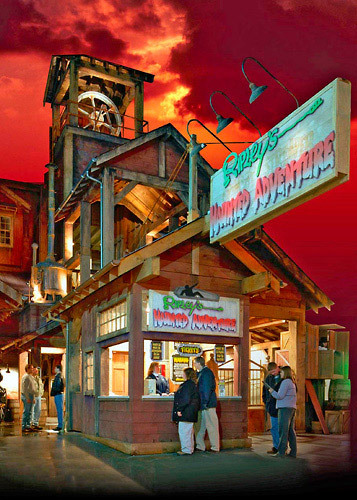 Ripley’s Haunted Adventure is located at 908 Parkway in Gatlinburg, TN.